Goolburri Healing and Wellbeing Service seeks to support the needs of all adults, young people and children from all cultural and social backgrounds. We use evidence based strategies to support people who are struggling with uncomfortable thoughts and feelings that impact their quality of life. We also assess and provide reports on those seeking weight loss surgery, behaviour support, and cognitive functioning. Our Healing and Wellbeing Workers provide holistic, culturally appropriate case work and aim to assist people to better manage a wide range of issues including grief & loss, depression, family and/or relationship matters, and any other issues which impact on their mental, social and emotional well-being. Provide high quality support to individuals and their families. Work collaboratively with internal and external organisations to ensure a coordinated approach to service intervention. Undertake client support at other service locations if required. Participate in case conferences and client care reviews if required. Coordinate, source and/or deliver in healing activities for clients that strengthen cultural identities, individual capacity and community connections. During the assessment process we will gather personal contact information and keep a record of this on file. You may ask to see this information at any time. 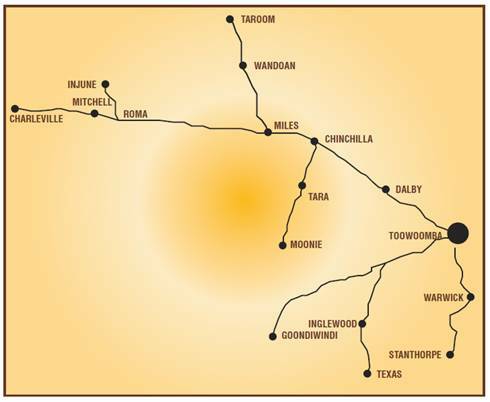 Goolburri’s Healing and Wellbeing Service area includes Toowoomba, Southern and Western Downs and Southwest Queensland region. At Goolburri Healing and Wellbeing Service, we acknowledge the importance of people’s life stories and how people and events in these stories can have a positive and negative influence. Our mission is to provide a quality service that helps you deal with those parts of your life story that have affected your wellbeing. We will strive to help you find ways to heal, so that you are able to continue with your life journey, and to add to your life story.